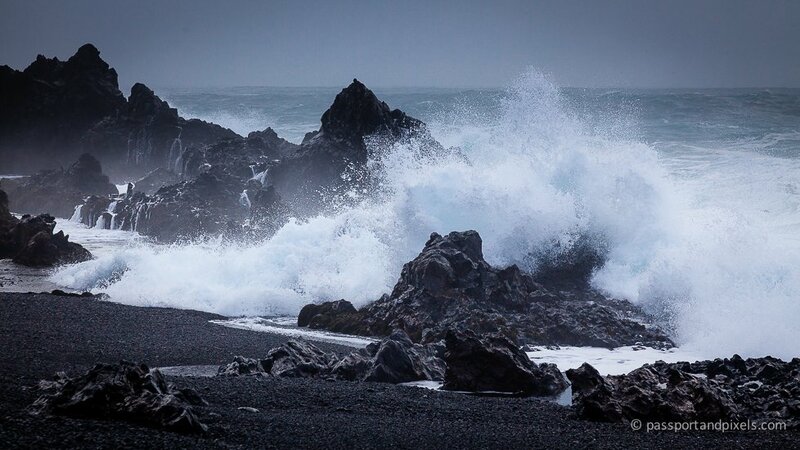 And when you look at the waters around Iceland, you can understand why. They’re bonkers. 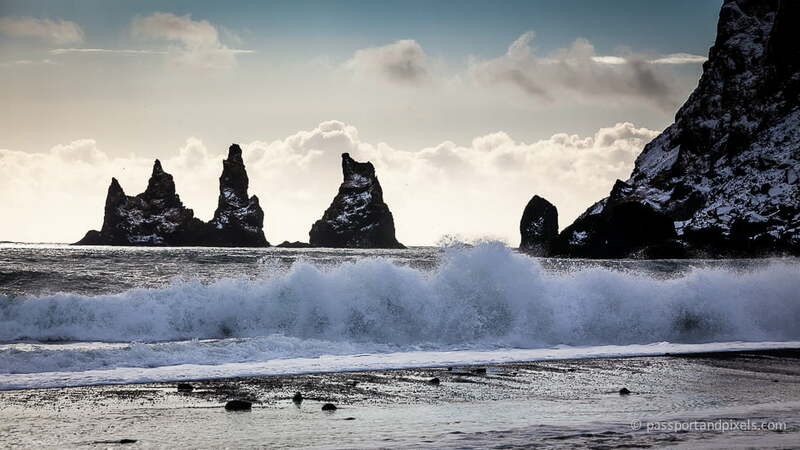 Being an island, Iceland has a lot of coast (well, duh…). 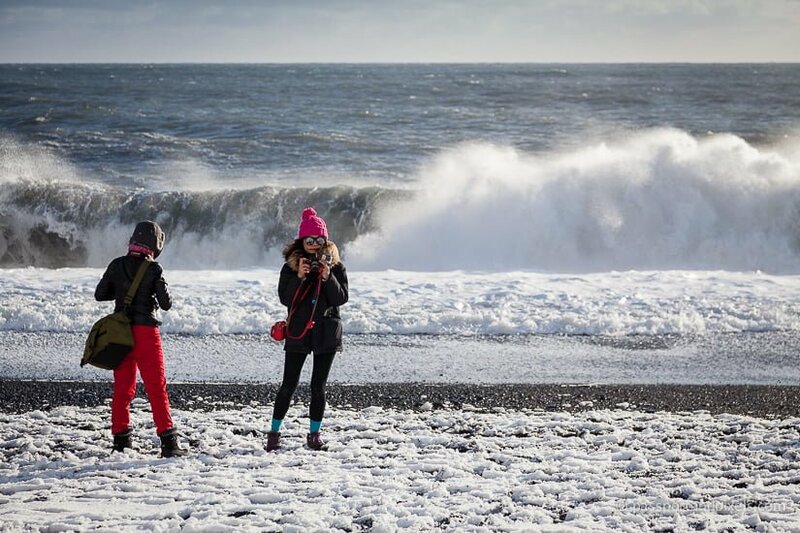 I travelled along some of it – both south from Reykjavik as far as Jokulsarlon, and north up to the Snaefellsnes Peninsula. If Iceland is a clock face, that’s from 9 round to about 4. So I saw quite a lot of sea, and even on a calm day, it’s spectacular. 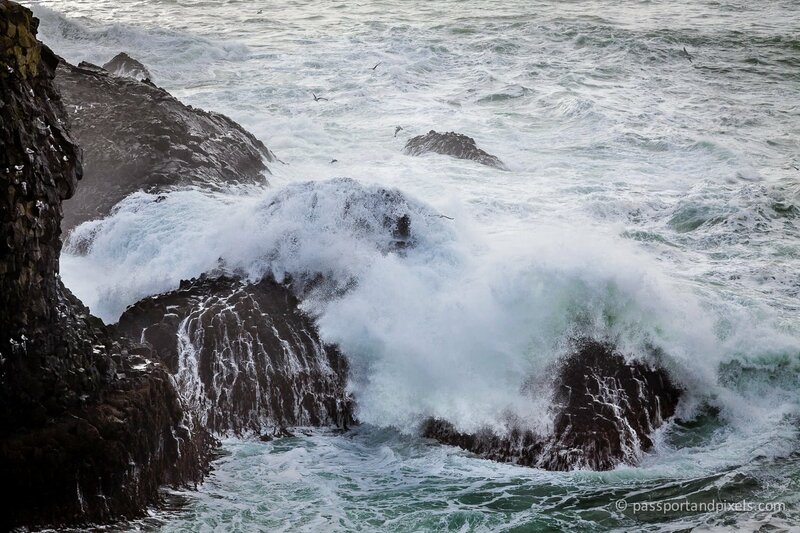 Enormous waves crashing furiously onto the rocks, seething foam, spouts shooting up through blow holes, the whole shebang. You could watch for hours and not get bored. 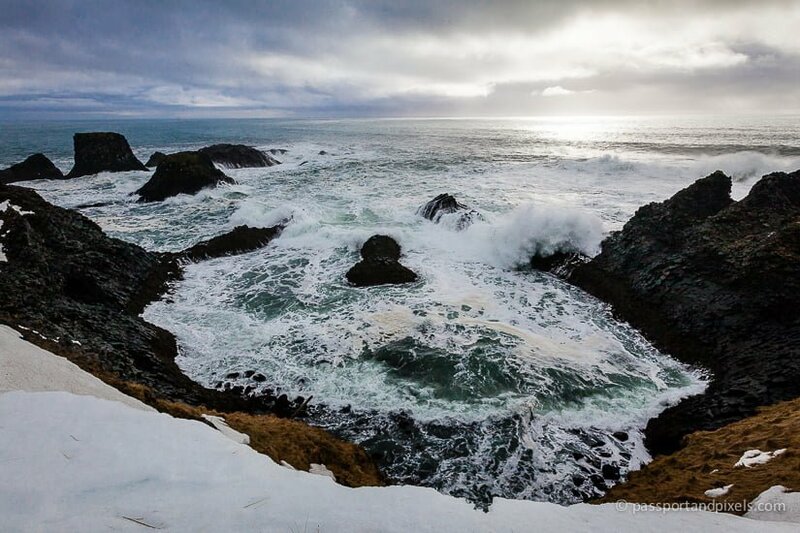 With all this violent watery activity going on, it’s no surprise that Iceland has more than its fair share of weird and wonderful rock formations, that have been blasted out of the cliffs by the epic might of the sea. 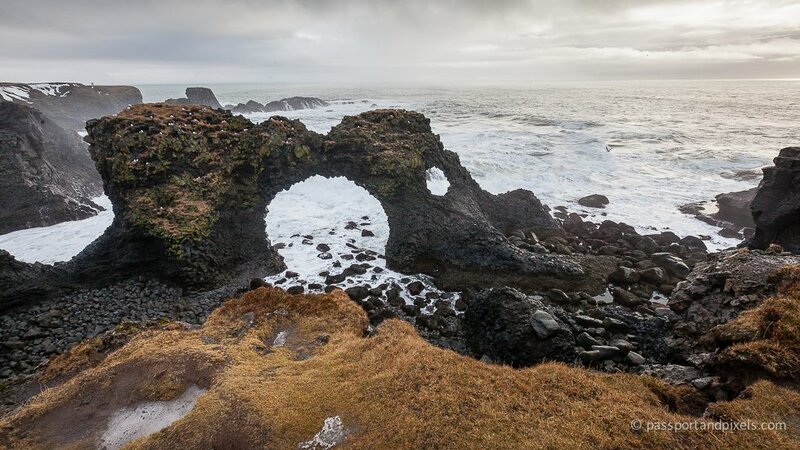 A very poignant reminder of the power of Iceland’s waters lies at Djúpalónssandur on the Snaefellsnes Peninsula. 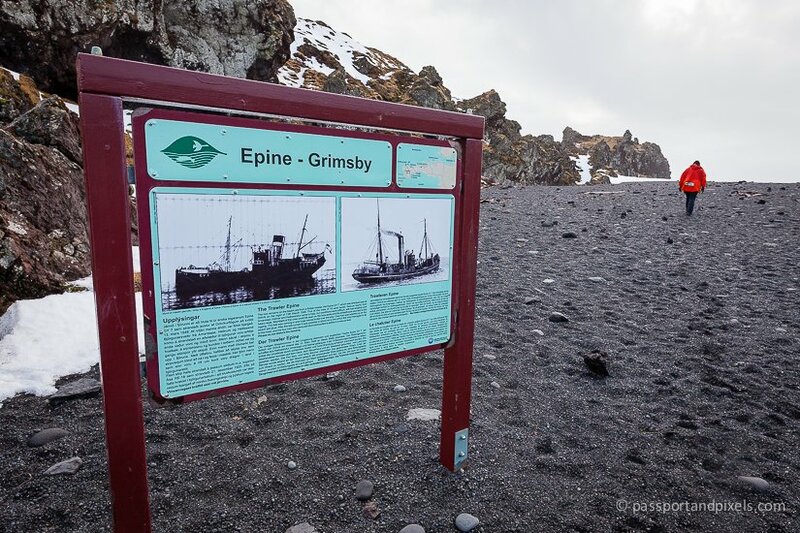 Here you can see the remains of a British fishing trawler from Grimsby named Epine that ran aground just offshore in March 1948. The conditions were so bad it took rescuers over 2 hours to get a line out to the wreck. 5 men survived but 14 died, either from exposure or drowning. 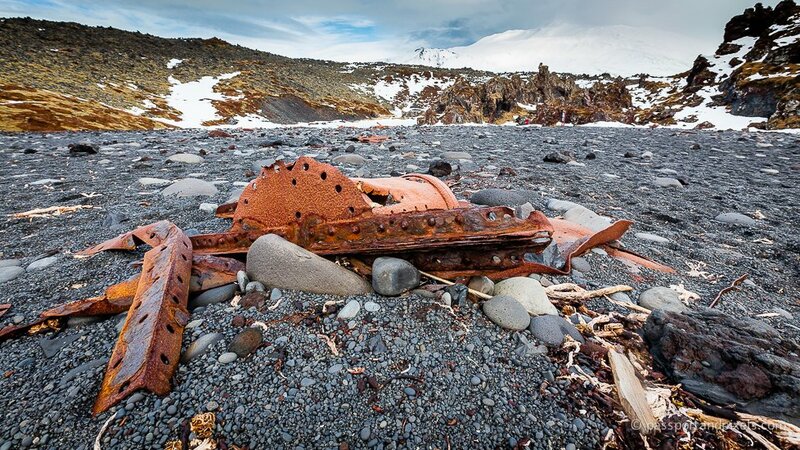 Bits of the wrecked vessel are still scattered across the beach as a memorial. 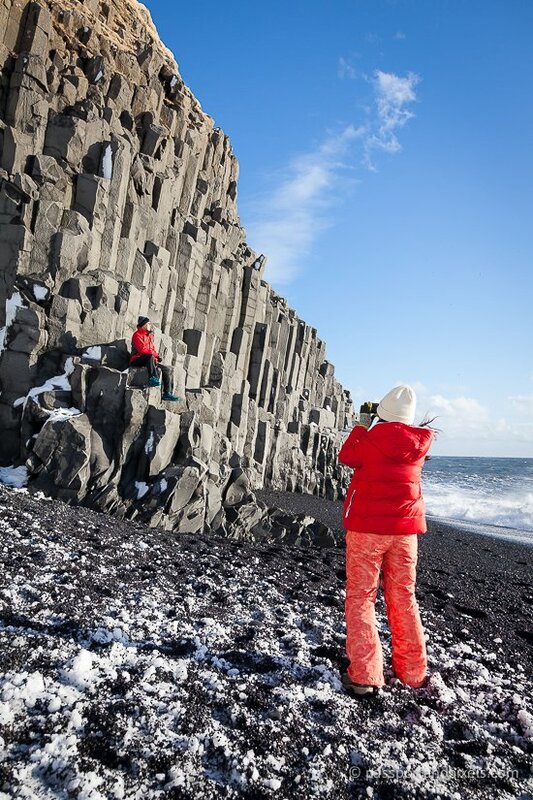 The image below is of the basalt stacks near Vik, on the south coast. The cliff line used to be much longer here, but it’s been battered to pieces because there is literally no landmass at all from here all the way south to Antarctica so the Atlantic rollers can attack with full force. When you stand and watch them crashing ashore, it really does make you feel small and insignificant. This is definitely not the sort of beach where you might be remotely tempted to take off your shoes for a quick paddle. 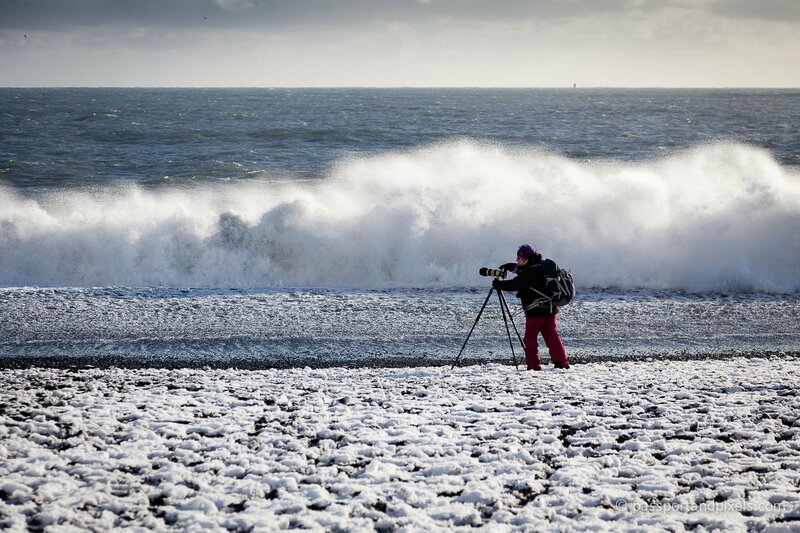 Instead, it’s all about trying to get that perfectly-timed shot of a powerful breaker. It’s very easy, when you’re peering down the lens, to stop noticing what’s around you. But those waves can be sneaky! 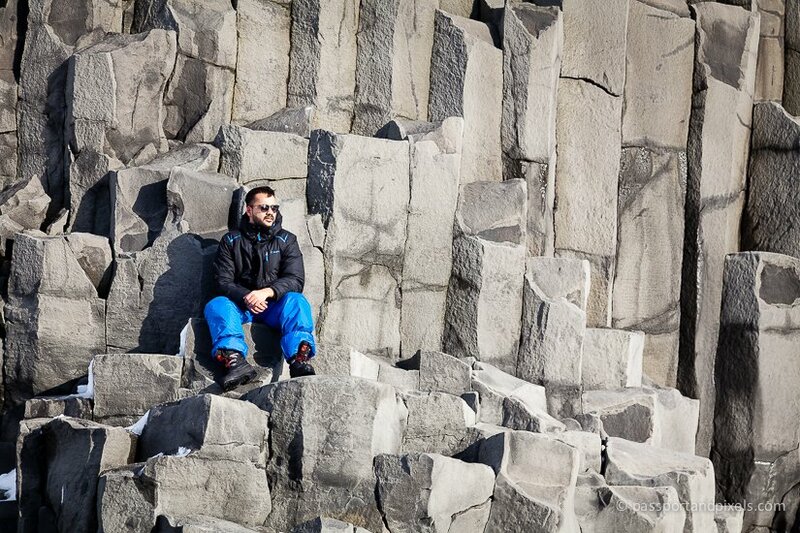 These photos were taken at Reynisfjara, known as Black Sand Beach. 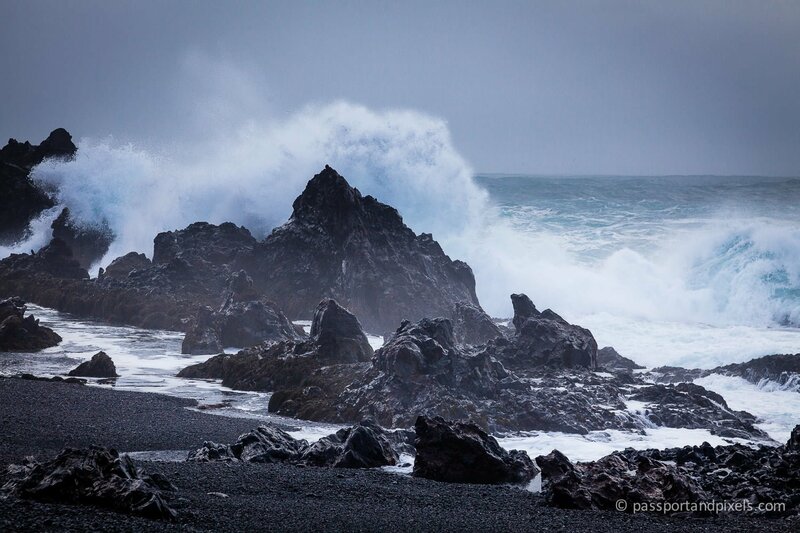 It’s one of the most famous beaches in Iceland because of its pure black beach and stunning cliff of basalt columns. People love climbing on the columns to have their picture taken. And it makes for a pretty dramatic photo. But you really do need to be careful of those waves. 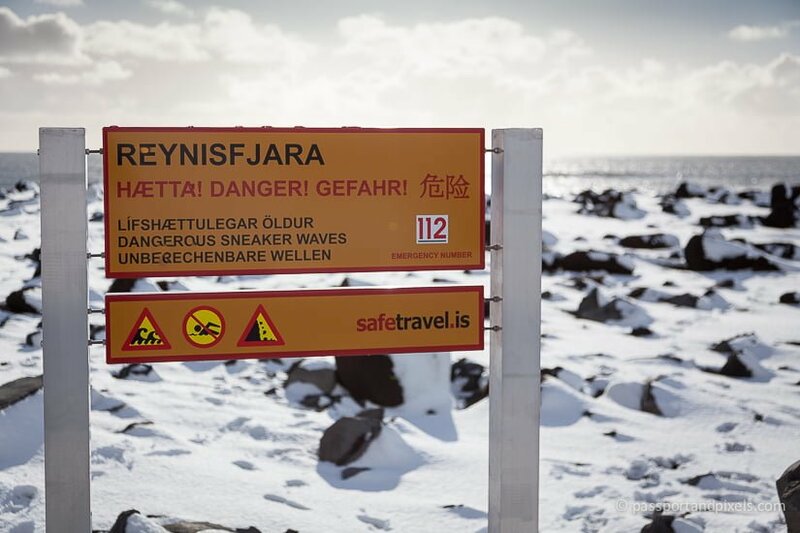 As you arrive at the beach there are several warning signs reminding people to take care and especially to beware of ‘sneaker waves’. A sneaker wave (sometimes they’re referred to as sleeper or king waves) is a disproportionately large wave that appears without warning. They seem to come about every 5-7 waves, and they’re not just a bit bigger than the other waves, they’re colossal. You can be standing well back at a safe distance from the tideline, but when that sneaky sneaker wave arrives, you suddenly find yourself having to turn and run. We were reminded several times of the dangers of standing too close. 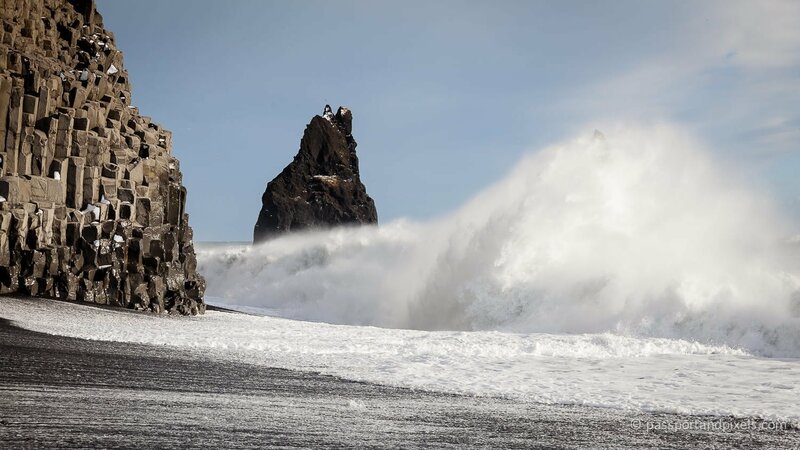 An Icelandic sneaker wave can come up and grab you without warning, and once you’re in the water, you don’t stand a chance. It’s icy cold, the waves are unbelievably powerful, and the floor shelves sharply so once you’re in the water you won’t be able to stand up. About two weeks before I was there a Chinese tourist died in this exact spot because he got caught by a wave. 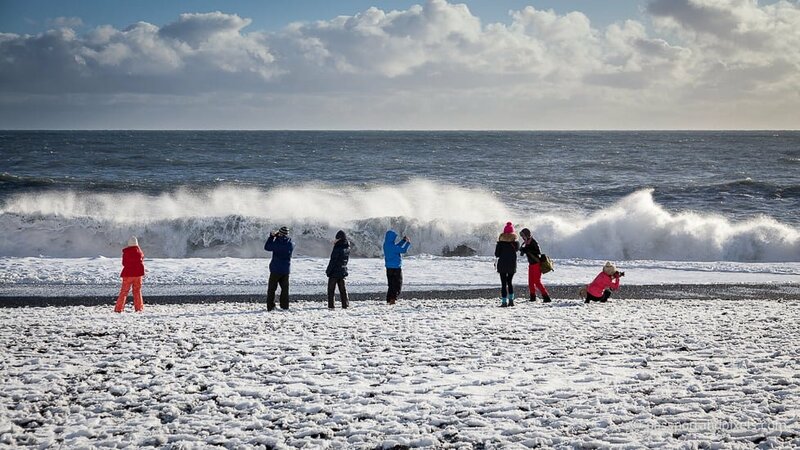 Nevertheless, plenty of people totally ignored the warnings and happily posed for photos with their backs to the boiling sea. I saw a couple of people stand too close and end up with wet feet, though fortunately nothing more serious than that. It is very easy to get carried away though. The scenery and the waves are simply spectacular. If I hadn’t been with a group I could have stayed and photographed the cliffs, the rocks, and the sea for hours.